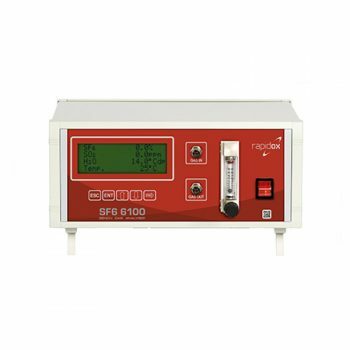 The Rapidox SF6 6100 Bench gas analyser is designed for controlling and monitoring the quality of SF6 gas over a range of applications, including medium & high voltage gas insulated electrical equipment, SF6 gas purity tests, medical testing, manufacturing and laboratory-based research and development. Exceptionally accurate and stable readings are achieved in simultaneous analysis and data-logging of SF6, SO2 and H2O (dew point) gases. 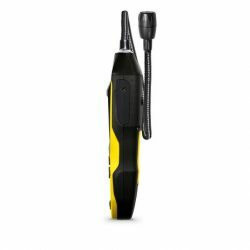 Fully compatible with the Rapidox Gas Recovery Bag, a gas output nozzle allows for the analyser to be attached, ensuring that all SF6 gas is recovered. Included within the analyser are two fully programmable alarm settings for high and low, with open or closed relays, digital outputs and fully programmable analogue outputs. The powerful Rapidox software package provides full control of the SF6 analyser and produces live SF6 gas test graphing and Excel compatible data-logging. 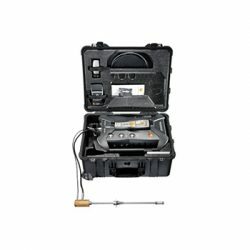 The Rapidox SF6 6100 Bench analyser is also available as a complete and portable kit, allowing users to carry all of the equipment that they need within a heavy-duty IP66 case. 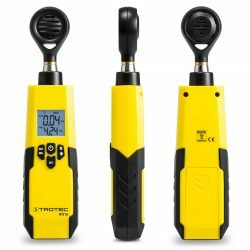 Each kit includes a set of DN8 and DN20 fittings with a stainless steel braided hose (self-sealing couplings), a swing handle fitted to the SF6 analyser and a separate thermal printer.